Packed Size : 8.25 x 14cm, 3.5 x 5.5"
Featherweight : Just 147g (5.2oz) in an ultralight, hard-anodized aluminum design. 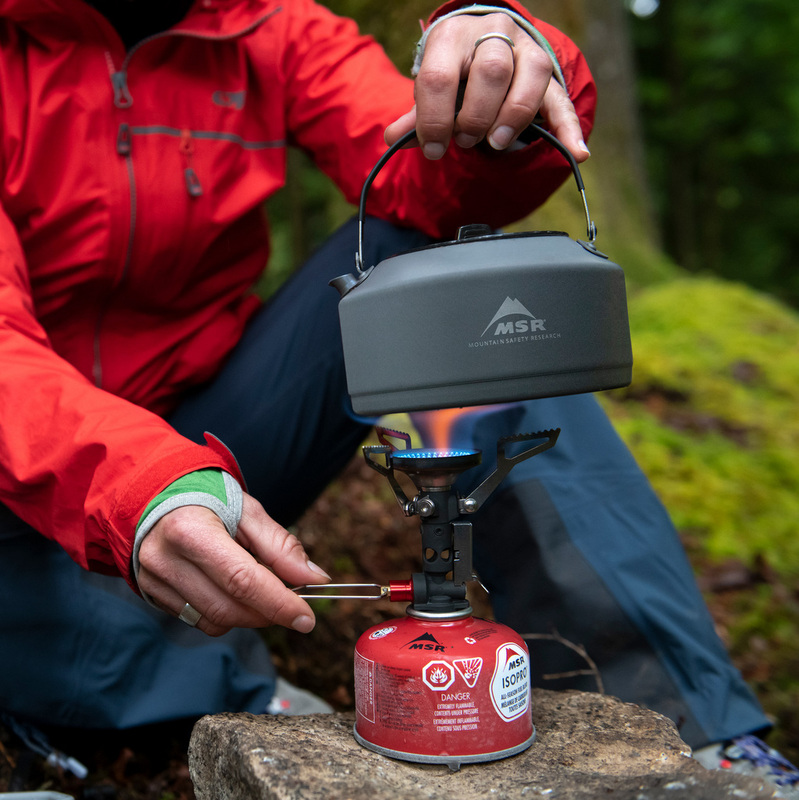 Aluminum : the cookware of choice for all-around backcountry use. It conducts heat evenly, is easy to clean when hard anodized and even easier when coated with a nonstick finish. It is also extremely efficient. 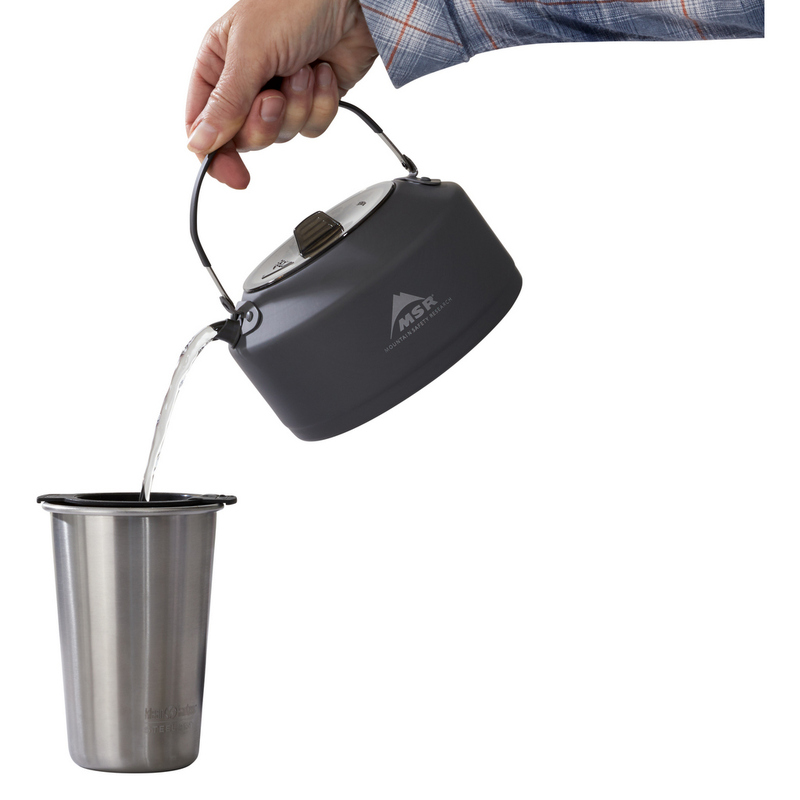 Precise Pour : Dispenses a robust, non-turbulent column of water that’s easy to direct. 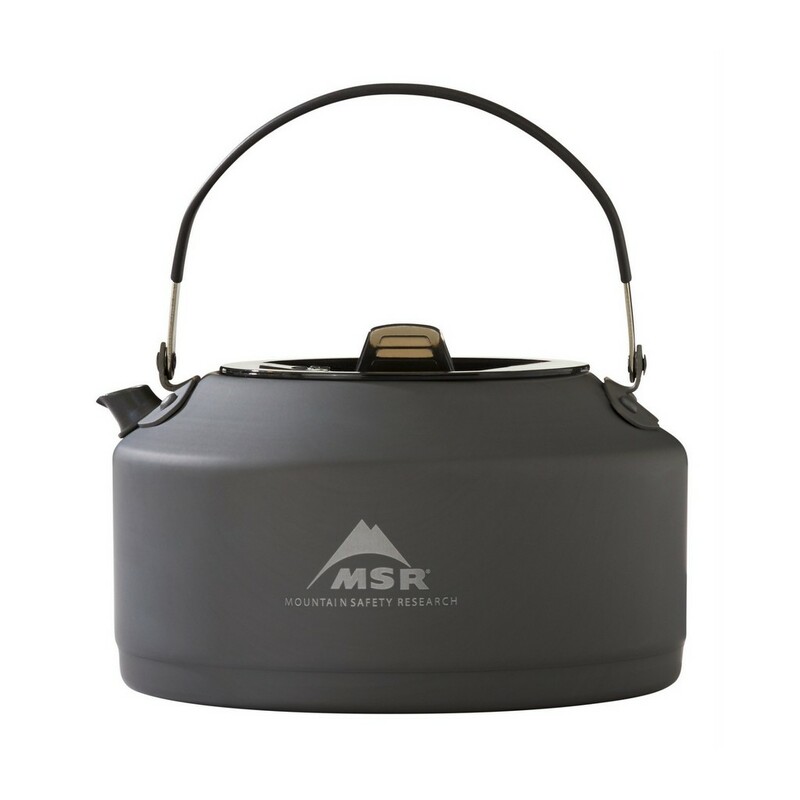 Secure Lid : Lid stays on when pouring but lifts off easily when teapot is upright. 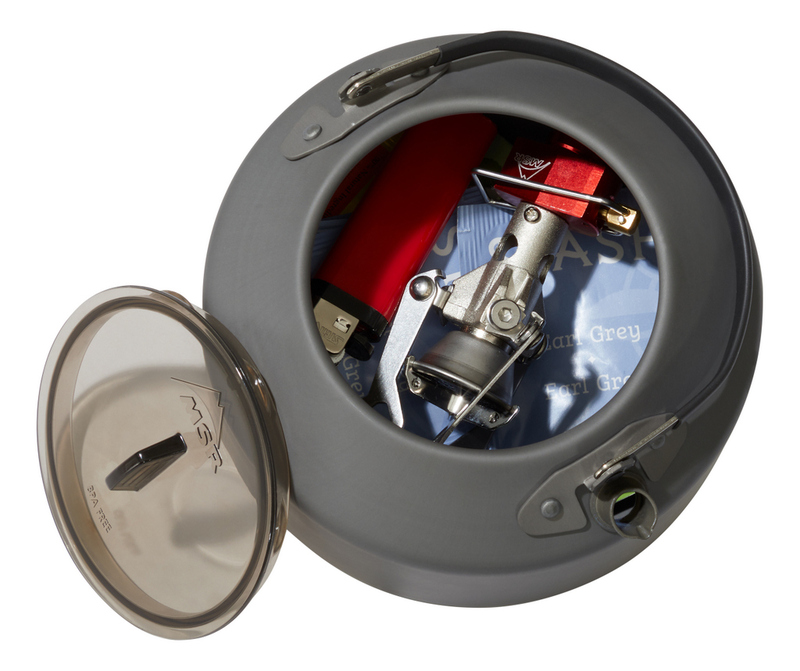 Convenient : Stows PocketRocket 2 with case or PocketRocket Deluxe stove plus coffee or tea ingredients. Darker pots are the most fuel efficient. Older cookware, which may blacken through use, becomes more efficient than new cookware. Do not use on an open fire, Aluminum can be permanently damaged by extreme heat.